Seattle Opera Blog: Fountain of youth...or blood. Know any teenagers? Understand them? One version of the Reason Why Blood is Spilled in Lucia di Lammermoor, offered by General Director Speight Jenkins in a recent talk about the opera, is that the characters are just hot-blooded Italians. For the sake of thought-provoking public discourse, I thought I'd offer a different perspective for your consideration, with a slice of science on the side. In an earlier blog post ("More than just a Pretty Tune"), I mentioned that adolescence plays a role in all three versions of Lucia's story (the original, true-to-life tale of Janet Dalrymple, Walter Scott's ill-fated Bride and Donizetti's unlucky lady) since every character with the exception of the priest Raimondo is a young adult. Like the fountain onstage in Act I, Scene 2 that suddenly transforms from placid water to roiling blood during Lucia's entrance aria "Regnava nel silenzio," teens are perhaps one of the most complex and unpredictable organisms on Planet Earth. Why, you ask? Not enough sleep? Too many Hormones? Obsessed with a technological universe that seems to older folks completely devoid of human interaction? Perhaps these, and more. Scientifically, I understand that with the advent of Magnetic Resonance Imaging (MRI) we're now able to see what parents have known since time immemorial: the teenage brain is a Work In Progress. It probably goes without saying, but here's what this might mean to you, and to the characters in Lucia. 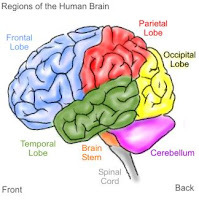 Recent studies suggest that the frontal lobes - our brain's home for planning, impulse control and reasoning - do not fully mature until adulthood. 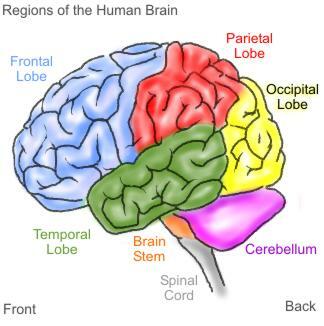 Parietal and temporal areas, which mediate spatial, sensory, auditory and language functions appear largely mature in the teen brain. I'm pretty sure this means that your recalcitrant young adult can certainly hear what you're saying, despite any indications to the contrary, but blame their immature frontal lobes for the seemingly well-developed ability to completely ignore you! 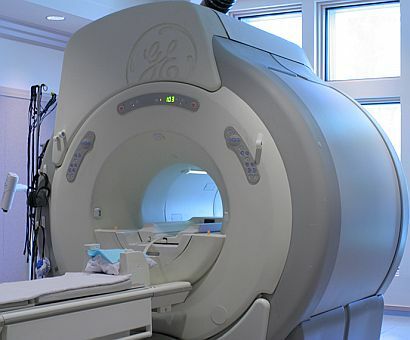 Even more importantly, functional MRI studies are now able to scan subjects' brain activity while they are utilizing their senses: sight, sound, smell or performing simple cognitive tasks. In one research project at Harvard University, subjects were examined while they identified emotions on pictures of faces. Young teens, who characteristically perform poorly on the task, activated the amygdala within the temporal lobes, a brain center that mediates fear and other "gut" reactions, more than the frontal lobe. As teens grow older, their brain activity during this task tends to shift to the frontal lobe, leading to more reasoned perceptions and improved performance. In the opera, Enrico seeks to solve what might be a temporary problem of failing fortunes and ill-advised political association with a permanent solution. I believe that in his mind, the only conceivable solution is to marry his sister to someone she doesn't love, despite the fact that she's pledged her eternal love to another young man. (OK, so he's their family's mortal enemy, but that might be splitting hairs.) Lucia, rendered completely powerless in the marriage contract scene of Act 2, Scene 2, reasserts control by the offstage murder of her new husband Arturo, then loses all connection with reality and dies. Despite Raimondo's pleadings during the sextet that Edgardo will find someone else to love, he commits suicide after hearing the bells toll news of Lucia's death. Back in real life, we've heard a lot about permanent solutions recently with the spate of suicides in young people who have been targeted and victimized by bullies, online or in person. For these teens, their suffering seems inescapable, and suicide the only way out. Though any kind of help will come too late for the Dalrymple and Lammermoor clans, there is hope that with awareness and a focus on suicide prevention, today's fountains can once again run clear. The teenage brain is really a complex thing, and it is a really hard time for anyone - that confusion and frustration inside, combined with the expectations externally!